You don't need an attorney to start and run a business -- most of the legal work involved simply requires reliable information and the right legal forms. With Quicken Legal Business Pro, you'll get everything you need to get the job done. With over 100 legal forms, you'll have access to the documents you need, when you need them. You can also take notes, create bookmarks, and read real-world examples of situations you're likely to face. Select the best structure for your business, obtain licenses and permits, buy or sell a franchise, , file required documents, and minimize the chances of legal disputes. Figure out if your business idea will make money and present a comprehensive plan to potential investors. NoloCloud Forms - One Year Subscription! With NoloCloud you can access forms anywhere at any time. Create as many easy to use documents as you need during your one year subscription. We have forms for estate planning, business, finance, employees, real estate, tenants, landlords, elder care, child custody and more. NoloCloud - secure access, anywhere, any time. IRS 1120S, Schedule K-1, Shareholder's Share of Income etc. IRS 1065, Schedule K-1, Partner's Share of Income etc. 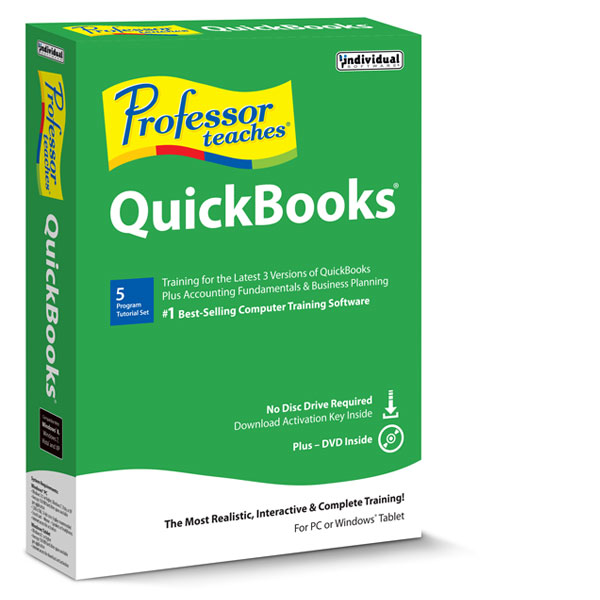 Professor Teaches provides realistic and complete training for the latest version of QuickBooks. Learn all the features of Intuit QuickBooks Pro with hands-on training. Each chapter is organized for fast and easy learning with interactive exercises to help you build new skills quickly. Free download with your purchase of Quicken Legal Business Pro.